Do you know where the closest fire hydrant is to your home? Hydrants are something we often take for granted and view as an ‘eyesore’ or an ‘inconvenience’ until the time comes when we need them to be accessible. Brunswick Regional Water and Sewer H2GO crews have seen a literal growing problem around our community’s fire hydrants: Many of their hydrants are being hidden with weeds, shrubbery, flowerbeds, posts, fences, and other obstructions because the hydrants provide a less than optimal sight. These obstructions cause unnecessary delays when firefighters are forced to take time to locate hidden hydrants, slowing their response to a fire. Having timely, efficient access to a water supply is critically important to fighting fires. The longer it takes to access the supply, the quicker and more dangerous a fire can spread. H2GO works with local fire departments to ensure proper maintenance and operation of the more than 1,500 fire hydrants in its service area. It’s becoming more of a challenge to maintain hydrants under a growing canopy of vegetation. “It’s becoming a public safety issue for our community. Our crews can’t get in there to work on some of these fire hydrants. Worse yet, the fire departments can’t get in there to hook up to them in the case of an emergency,” said H2GO Public Information Officer Tyler Wittkofsky. “Nobody wants to be responsible if a home burns down and someone is injured, and that is what will happen if we don’t nip this in the bud now.” The newly adopted fire hydrant ordinance language would require a three-foot clear space to be maintained around the circumference of fire hydrants and other fire protection equipment; and no grass, plants or other objects within this three-foot radius shall exceed six inches in height. No loose rocks or any other objects which may pose a tripping hazard shall be permitted within the foregoing radius and all fire hydrants and other fire protection equipment must have an unimpeded view range of at least two feet to each side along the roadway. This is the best way to ensure that H2GO’s team, as well as the fire department, has the clearest path to the fire hydrants and they will not be obstructed in the event of an emergency. In addition to the new requirements, the ordinance also states that any person violating the ordinance could be convicted of a class 1 misdemeanor. It also gives H2GO the right to come in and remove the obstructions if the owner or HOA in charge does not comply with the new fire hydrant obstruction ordinance. “We will certainly be diplomatic and understanding about it, however we need something with some teeth to ensure we are protecting our community. We have spoken with homeowners and HOA’s in the past, sent out letters, but it seems to be falling on deaf ears. This ordinance is something that is necessary to make sure we are protecting our community,” says Wittkofsky. View the Fire Hydrant Obstruction Ordinance in full HERE. Did you know that hidden hydrants are a safety concern? Is your dog the only one who knows where the neighborhood fire hydrant is? Hopefully not! Fire crews need to quickly find the nearest hydrant if there is a fire. Hidden hydrants cause needless delays. Brunswick Regional Water & Sewer H2GO and the Leland Fire & Rescue Department is asking for your partnership in our AdoptA-Hydrant program by adopting a fire hydrant close to your home or business and keeping it free of vegetation, shrubbery, and other obstructions. Check to see if you have a hydrant in your front yard or somewhere on your property line. Then check to see that it is clear of vegetation and structures which may obstruct the hydrant. In the event of a fire it is imperative that the Fire Department gain access to a water supply via a fire hydrant as quickly as possible so that fires can be extinguished to prevent/minimize loss of property and/or life. It is important to make sure that your adopted hydrant is free of all obstructions including weeds, shrubbery, flowerbeds, posts, fences, and trash. Finding a hydrant easily can make a huge difference in response time for the Fire Department. That is why the fire code requires 150 foot visibility from the street. Take a few minutes to stand 150 feet back from the hydrant and check to see that it is visible in both directions. Not visible? Take time to clear that vegetation - help make your neighborhood a little safer. Your participation in this program and maintenance of the area around your adopted hydrant saves time in the Fire Department’s incident response - and time is very valuable. The house you help to save may be your own. If you notice that a fire hydrant is damaged, missing caps, leaking water, or if it is blocked or obstructed in any way, please notify H2GO. Not sure how much vegetation to remove? 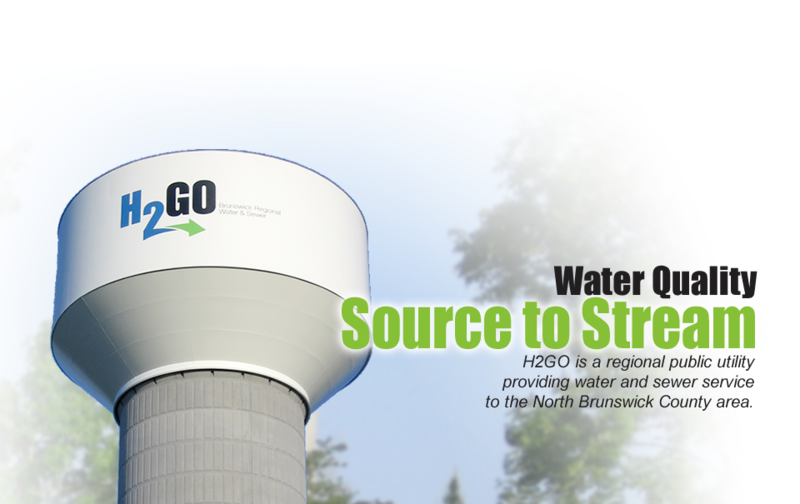 Give H2GO a call at 910-371-9949. We are here to help. If you have any questions or comments, please contact us. Thank you for your cooperation and participation in our Adopt-A-Hydrant program.